Thank you to Woody's Jump N Play for the discount and Oriental Trading for the additional decorations. My baby girl had SO much fun at her 4th birthday party! 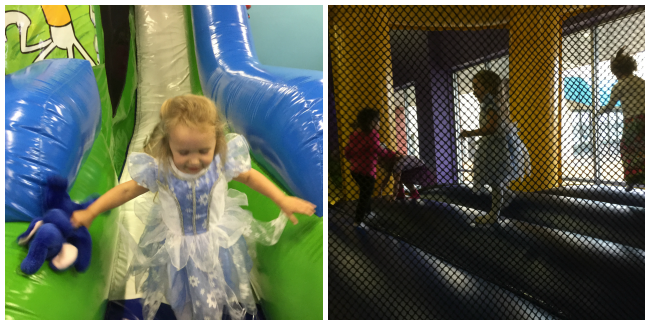 We went to Woody's Jump N Play, which I mentioned in a previous post is a bounce house party venue that is also opened on a day-to-day basis. This was our first time having a party there and they were nothing short of awesome. 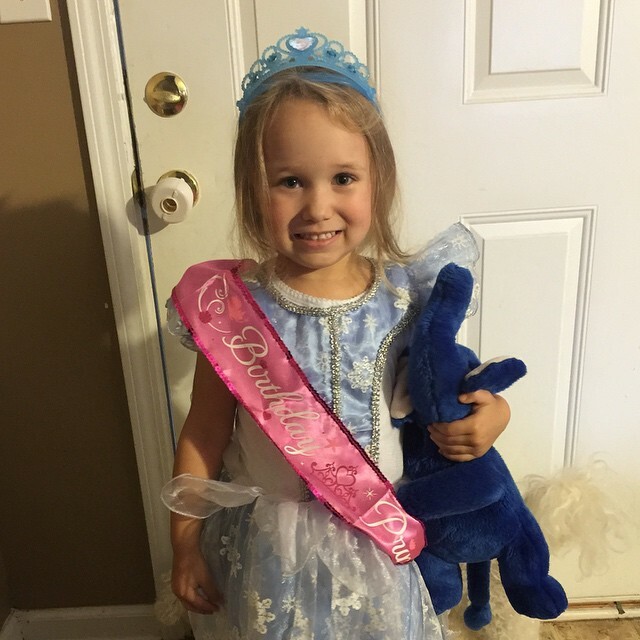 SweetPea, of course, insisted on a Disney's FROZEN theme and wore her beautiful dress that her nana bought. Woody's is THE place to go for your little one's birthday party! Even though I did receive a discount to share this review, we were already planning on having her party there so the extra discount was a no-brainer for us. Woody's hostess set up everything, including the extra decorations that we had brought that I had received to review from Oriental Trading. Which included two Mylar balloons, a 24 piece table set, a HUGE Crayola coloring book, and a helium tank! 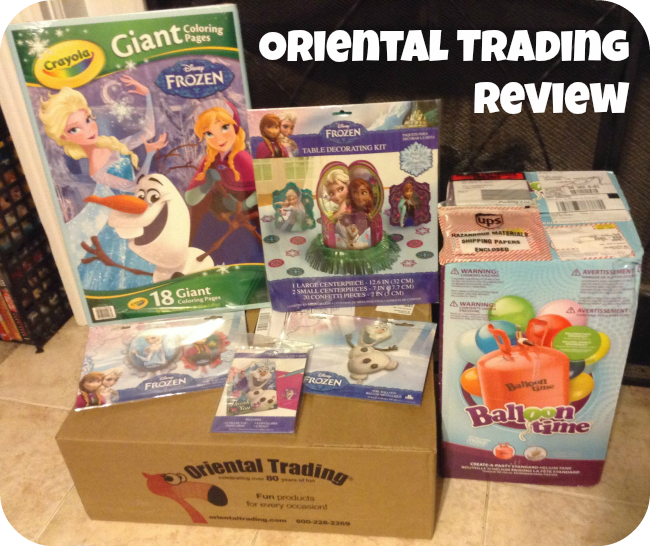 Everything that we received from Oriental Trading was a great price and shipping was super fast. I was very happy with my overall experience. We invited all of her classmates, family, and friends. More people came than I expected, but Woody's worked with us on that and it was like the more the merrier! The kids jumped and jumped until they were all exhausted, which was awesome. Woody (their mascot) came into the party, but SweetPea wasn't a fan. She doesn't really like characters yet. Woody's hostess was very pleasant during the entire party, and they cleaned up everything. It was wonderful to not have to worry about a thing. It was also nice having entertainment that pleased our wide range of kids. PLUS all we had to bring were the cupcakes! My husband and I agree, we are doing this EVERY year for both of our kiddos birthday parties! Although I received free products to provide this review, all opinions are my own.